I have used this product for YEARS and to say it is amazing is an understatement!! I currently started a kill pen rescue on this, less than a week ago, and already she is having far fewer flies than when she first got here. She came from OK to SC and every SC critter wanted to dine on her. Not now! She gobbled this up from the first serving. She loves it. So do I !! Please buy this you will not be disappointed. Helps Keep Bugs in Check! Bug Check is not only a regular component of my overall fly control program, I know my horse is also reaping added health benefits. 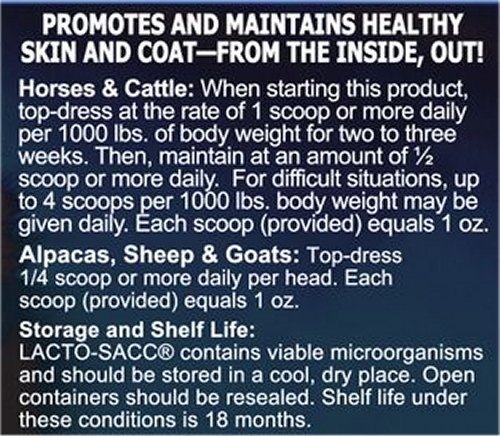 I have been using Natural Horse Vet products for about 2 months now. I started bug check in August because the flies were the worst we have had in years. At the suggested maintenance amount my horse didn't receive much fly relief, but I was seeing less flies in her stall. Now I am feeding twice as much and am seeing better results. The other horses have ear flies bothering them; my horse's ears are completely bite free. I am a believer in this product! 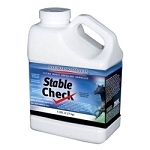 Every one of our horses has been tick-free since we started them on Bug Check four years ago. The previous years were terrible; every night we'd pull at least one from every horse (usually in their back "armpits"). Our dogs and cats are also tick-free! 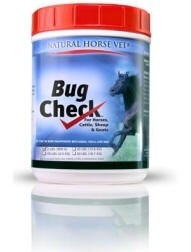 Whenever I hear folks complain about their tick problem, of course I tell them about Bug Check! I love feeding Bug Check to my horses and they love not having so many pesky bugs bothering them. 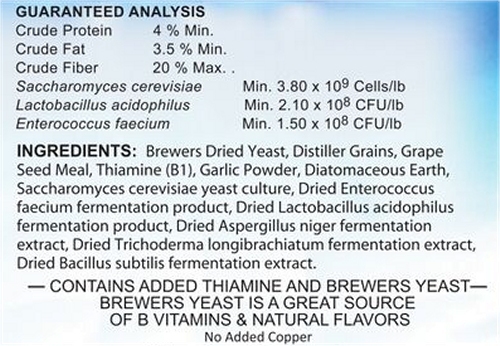 This has made a difference for my Andalusian mare that has sweet itch. Thanks Dr, Dan! I've a bug sensitive Rocky who gets bumps from bug bites. I'd tried everything so gave Bug Check a try. Within 2 weeks my horse was swishing less and bumps were fewer. Soon her color became darker and richer than ever, her forelock grew longer, and her tail now drags the ground. I recently ran out of Bug Check and let it go for a month. Soon as the bugs came back the bumps came back so I've put in my order for Bug Check so she won't be without it again!